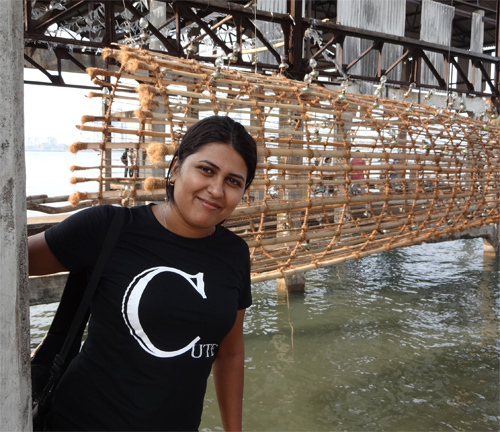 I’ve been fortunate to be here for the Kochi-Muziris Biennale, India’s first. Although it kicked off before my arrival on 12/12/12, it lasted until 13/03/13 and so I got to see for myself what all the fuss was about. Biennale is Italian for “every other year” and is commonly used in the art world to describe an ‘international manifestation of contemporary art.’ It purportedly stems from the Biennale di Venezia first held in 1895. The Venice Biennale includes contemporary art, film, dance and architecture (this one held in even years). 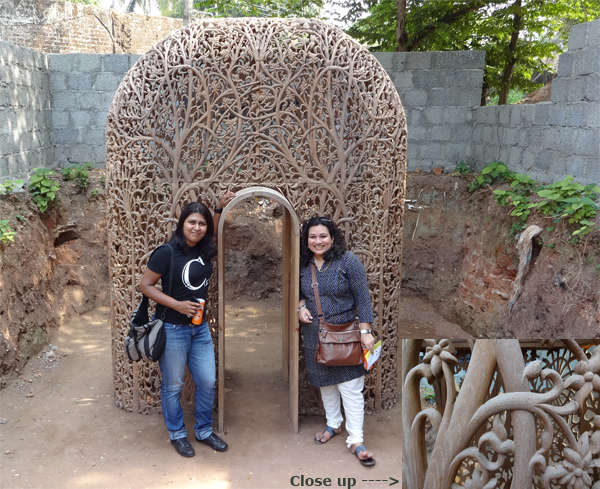 The Kochi-Muziris Biennale was set up mostly around Fort Kochi. 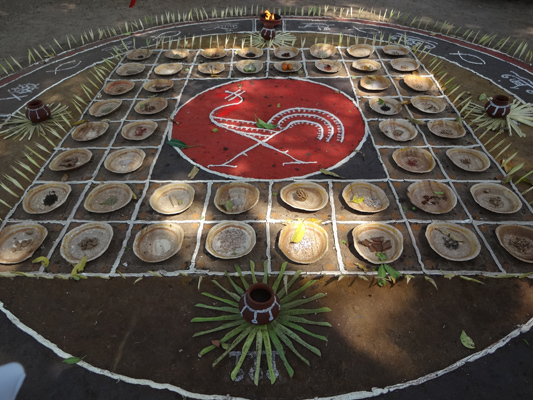 It was established to support the more modern Kochi, but at the same time, not letting go of the past and the historical values and significance of its mythical predecessor, the ancient port of Muziris. When I heard about this, I asked around the office to see who might have a bit of information and was told to begin the journey at the Kashi Art Café, also a gallery. At the Kashi we found out where to go for tickets and more information. So we headed out to the Aspinwall House to begin the official journey. Overlooking the sea, the Aspinwall House was established in 1867 as a business that traded in coconut oil, pepper, timber, lemon grass oil, ginger, turmeric, spices, hides and later in coir, coffee, tea and rubber. 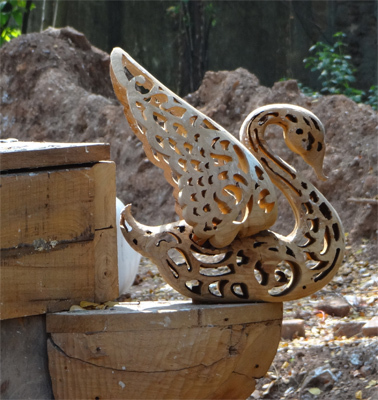 Today, it is a large heritage property supporting numerous artists and exhibits for the Biennale. There were nearly 80 artists with work presented at a variety of venues including current gallery spaces and halls, with additional site-specific installations in public buildings and outdoor spaces. In some places, they used areas that were unused or barren. We were able to visit only about 10 of the spaces, but we got a really good feel for the variety of the work, which was vast. 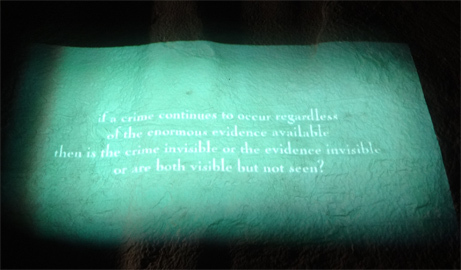 or are both visible but not seen? The constant flow of messages made you want to stick around and see what was next. At the other end, was a story told in books, video and art about a crime against a young African man and the questions that surrounded his demise. The entire room was intriguing and thought-provoking, although in some regards, also disturbing. But what is art if not something that makes you feel? As with a lot of modern art, you have to ask yourself, “What does this invoke within me?” It doesn’t matter that you don’t understand it. You might find it interesting, disturbing, beautiful, humdrum, absurd, comical, amazing. You might feel a sense of loss, wonder, sadness, awe, enlightenment. You could even feel cynical, angry, happy, or it might even make you weep or laugh aloud. It could take your breath away or leave you completely puzzled. If you have no reaction whatsoever, the artist clearly missed the mark. People react differently based on what they see in the piece, or what they don’t see. A reaction could be based upon a long-ago memory not quite present, but only sensed. One of our group had to leave that dark room that many of us found fascinating because she felt a certain dread. Who can really tell what will move us? I remember standing outside Antoni Gaudí’s Sagrada Família in Barcelona with Jennifer, one of my traveling companions. As both of us stared at this amazing sacred place, we turned to each other and both of us were weeping. While the art of the Biennale didn’t bring me to tears, some of it evoked strong reactions. All-in-all, it was a really great (albeit hot!) day. And from my point of view, congratulations must go out to the organizers of this amazing event! 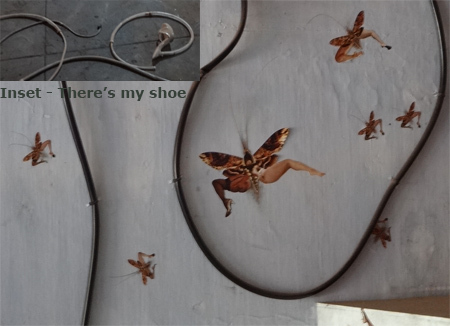 This entry was posted in India and tagged Art, Aspinwall House, Biennale, Chinese fishing nets, Cochin, Food, Fort Kochi, Kashi Art Cafe, Kochi-Muziris Biennale, Sudarshan Shetty, Uttam Duniya. Interesting photos. 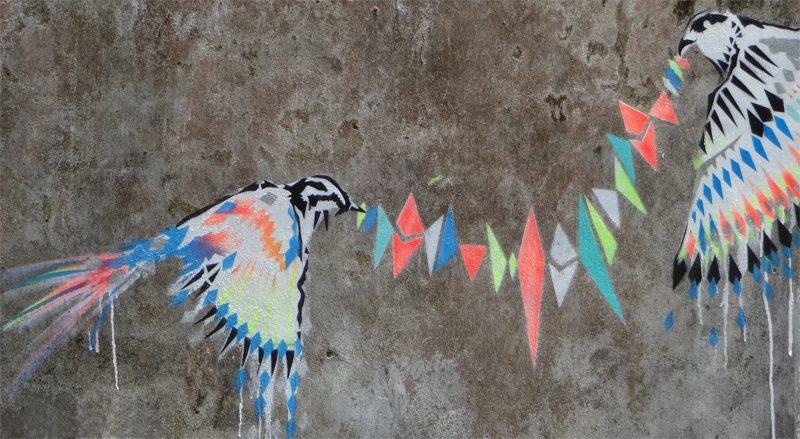 Love the (I assume it is) street art–the colorful tree and birds on a wall–and the omelet. LOL I see art in delicious-looking food. It is inspiration at 9:30 AM for my Easter breakfast. Hope you had a Happy Easter. 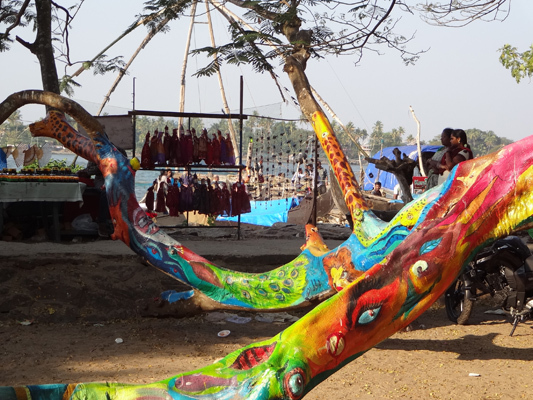 Yes, the outdoor art was fascinating, especially the painted trees. 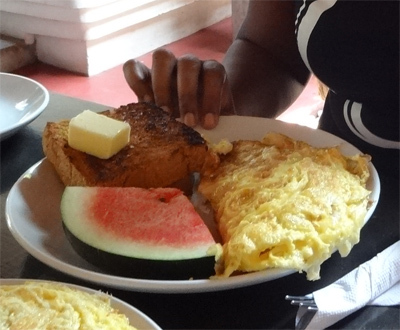 And, yes, the omelet was truly a work of art … really delicious! Very interesting Art! Your Omlet looked inviting. Hope all is well and hope your holiday was hopping good!